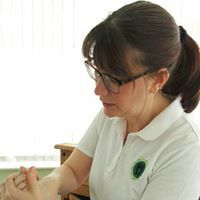 Welcome to Five Rivers Wellbeing, founded by Julie Bell, a Reflexologist, Massage Therapist and Weleda Wellbeing Advisor (originally Rae Reflexology) and Matt Bell, a Sports Massage Therapist and Rock Doc! Together we provide high quality services to enhance people’s physical and mental wellbeing. We offer confidential consultations to provide you with the treatment that best suits your needs, whether you are looking to support your sports training, manage symptoms of an illness or balance your day to day wellbeing, we can offer a therapy to support you. Contact me for appointment information. Contact me for prices or visit the website.